Do you long to look at Mary in a new way? 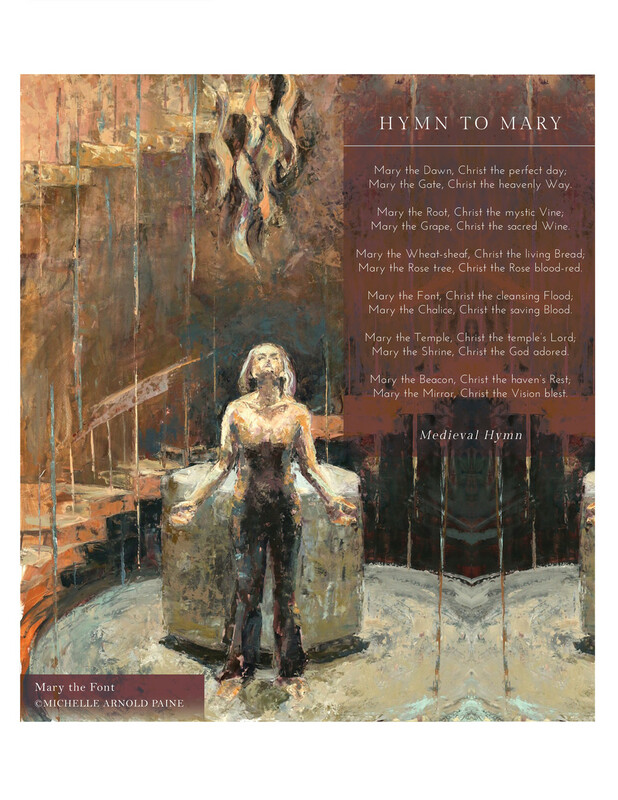 I want to send you a copy of the hymn, along with one of my paintings inspired by it, to print out and use as a tool in your quiet moments of prayer. Through meditating on these words I have come to know Mary better, and I hope it will help you to, also. View paintings inspired by this poem, order prints, or read more about how this poem inspired me.